From their emergence in the New World centuries ago, through their evolution into contemporary Native Americans, the Apache, Navajo, and Pueblo peoples of the American southwest have endured the hardships of a desert land and hostilities with those who would usurp it and annihilate their culture. They now face the challenge of maintaining an ancient system of beliefs and a separate identity while coexisting in the modern world with peoples whose philosophy and way of life are very different. 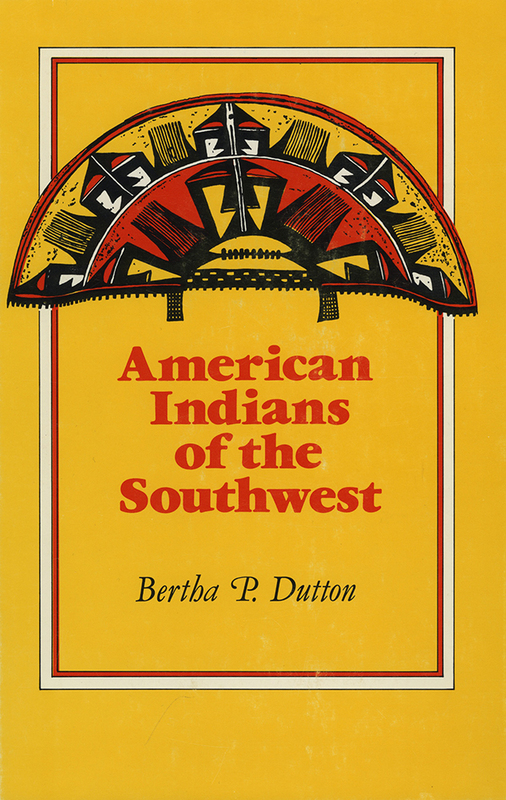 In American Indians of the Southwest, anthropologist Bertha Dutton combines an interdisciplinary approach with the kind of wisdom and knowledge gained only after years of research and experience to tell us their story. She discusses the history and current status of each group of native southwestern Indians, including those who no longer exist or who have merged with other groups. She skillfully guides us through the web of indian prehistory and history, from creation myths and other legends through the development of language groups and the building of the first pueblos, to the disruption of Native American life by outside encroachment and invasion. Her comprehensive account of Indian history is coupled with an insightful commentary on contemporary Indian life and issues, including tribal governments and their relations with the U.S. federal government, as well as economic and social concerns.